The speed by which internet marketing is shaping how we do business today does not fail to amaze me still. I had spent years in eCommerce and I had seen internet marketing going nowhere but up. With this trend, creating a reliable web presence is no longer an option but a necessity if you want your company to stay on top and get to the top. Here’s where getting a custom website developer comes in. A common misconception (and an expensive one at that) is that you need to hire the best website developer to create your website. And ‘the best’ means the most expensive. This is one of the reasons why some businessmen had shunned the idea of creating a website because they thought they can’t afford it. The great news is that this is not true! Getting a reliable custom website developer who can give you the best value for your money is within reach. Surf the net. Ditch that phone directory! 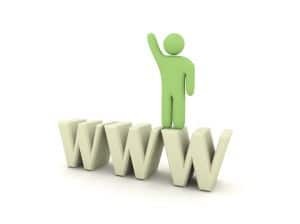 Go online and start searching for companies or freelancers that are offering custom web design services. This is the best place to look for potential developers and shortlist them. First, browse through their website. If they are any good, it will show at how well they had designed their own site. Is their website professional looking? Did they use elegant and not-too-flashy graphics and images? Are their contents sensible and interesting? Next, look into their portfolio and clients testimonials. If they have had successful projects, they are more than sure to post them up! It would also be great if their portfolio has links to their clients’ websites so you can see their sample finished product. Grab a package. There is more to creating and maintaining a website than just coding, graphics and contents. It is important to know whether your custom web designer can give you the whole deal from creating the physical site to ensuring that your search engine ranking is up to par. Does he know SEO? Can he offer support even after the official launch of your site? Does he give training on how to edit your pages yourself? It would be much easier and convenient to get everything you need from a single website development company or freelance expert rather than having different contractors. What’s more, custom web development companies offer different packages and you can take your pick as to which package suits your needs best. Align your expectations. Invite custom website designers in your shortlist for a meeting. Tell them what you need and get their feedback if there is anything you might have missed. After all, they are the experts and would have more knowledge on how things work. This would also be the best venue to talk about hosting, code ownership and warranty. Can they host your site or would you need to get a separate hosting account? Do you get to keep the copyright of your code or do they get ownership of the copyright forever? Do they offer support to fix any design errors that may arise for free? It is also important to gauge the web designer’s personality during this meeting. Is he friendly and accommodating? Does he sound efficient and reliable? Are you comfortable handing over the project to him or to his company? These are just a few pointers to guide you in your important search for a custom web designer. Always remember, don’t rush! Finding a partner for your website development is not an overnight venture. Be prepared to spend some time to shortlist your potential designers and choose, not “the best”, but the perfect custom web designer for your website!